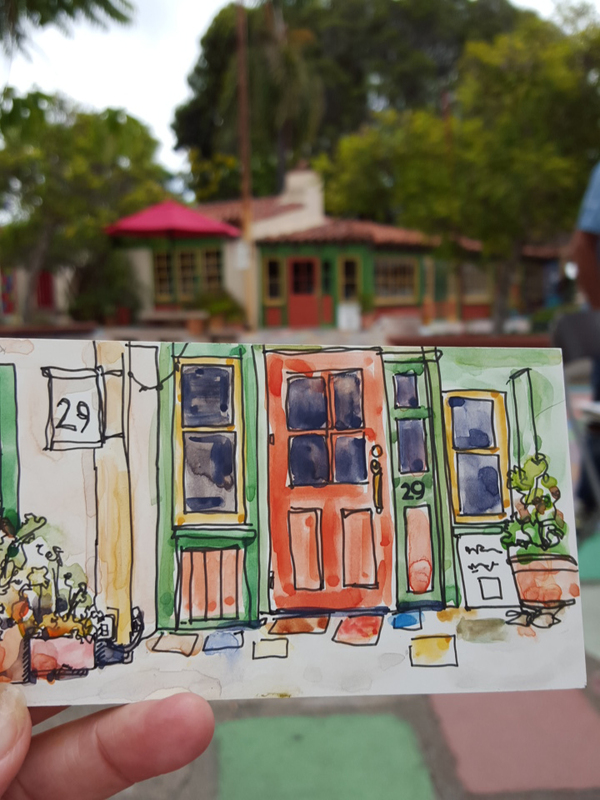 The Spanish Village Art Center is a thriving community with over 200 artisans. 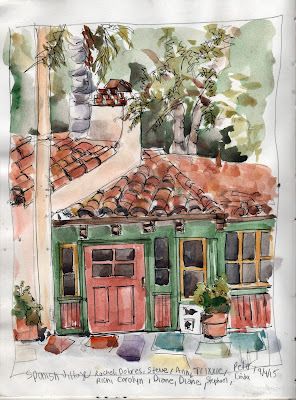 All of the buildings are colorful and after sketching I was able to visit a print show. It's a great location for looking at AND creating art. This watercolor sketch was done with watercolor on a light weight bristol board.